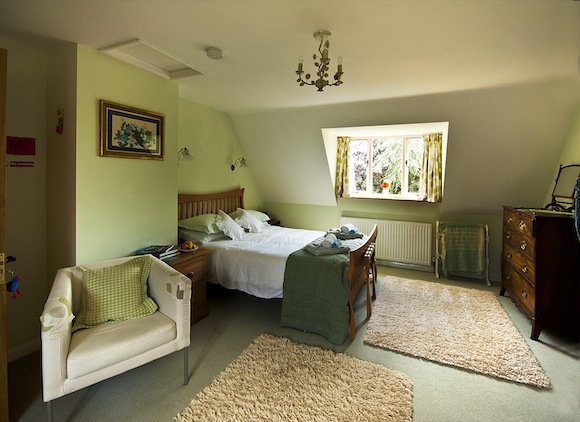 All of our rooms have views to the large rear gardens and across open Cotswold countryside. 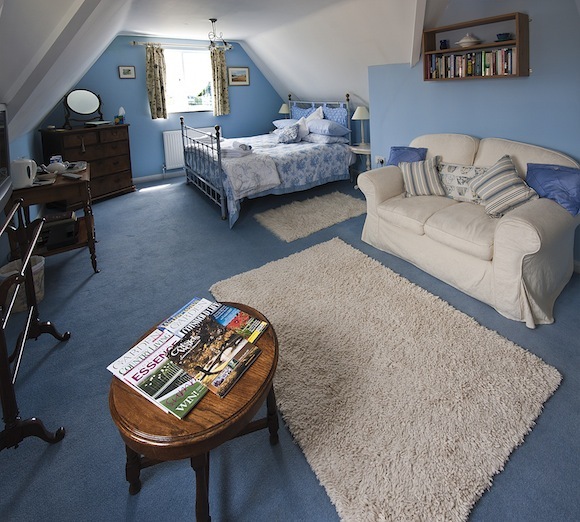 The King double room (Green Room) is a spacious room with an easychair and a two seater sofa, it’s own private entrance and en-suite facilities with a high specification bath and step-in power shower. The Super King double room (Blue Room) is a spacious room with an easy chair and a two seater sofa and en-suite facilities with step-in power shower. All the rooms have flat screen HD television, wireless internet access, CD/DVD Player, IPod docking station and alarm clock, fan heater, cooler, hair dryer, bathrobes, tea and coffee facilities and some special treats. A 5% discount will be applied to the above price for stays of three nights or more for direct bookings. A 10% discount will be applied to the above prices for stays of seven nights or more for direct bookings. Single Occupancy is available with a deduction of £15.00 per night on the standard room rate. A 25% deposit (minimum value £20.00),by cheque made payable to Mrs J M Boyse, or by Bank Transfer or Pay Pal, is required at the time of booking, and must be received within 7 days of the booking date, with the balance due before departure. If you cancel your booking prior to 14 days of your proposed arrival date (based upon an arrival time of 3.00pm) there will be no cancellation charge and your deposit will be returned in full less a £10 per room administration fee. If you cancel after this time your deposit will be chargeable. In the case of a “No Show” 100% of the total room cost is chargeable.